We will work together to develop goals and timeframes to meet these goals. We will come to your home and practice the skills that you want to improve on – this may include feeding yourself, transferring, cooking, gardening, accessing your computer again or accessing the community. You decide on the activities, which are most important and meaningful to you. 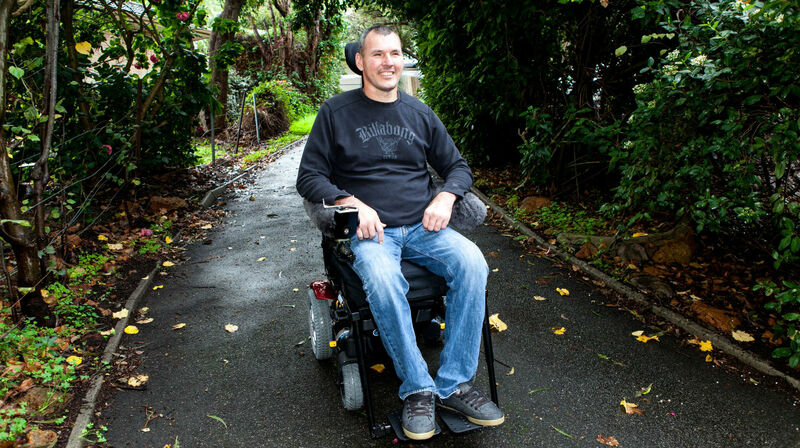 We can provide expert advice on wheelchair prescription, positioning and pressure care. We are familiar with an extensive range of products and have excellent working relationships with suppliers in the Perth Metropolitan Area. We can organise trials of equipment and assist with deciding on what is best for you. We are experts in spinal cord injury rehabilitation equipment and adaptive technology, which can help you to regain your independence. We can organise equipment trials to ensure that the equipment will meet your needs before purchase. We are skilled in spinal cord injury rehabilitation and have experience with home modifications and adaptation. We can problem solve changes to your home to maximise your function and independence. We are driven to achieve the best outcomes for you and can help with return to driving, exploring different leisure pursuits and return to work. Our clients with spinal cord injury and other professionals working within this clinical area hold us in very high regard. We are recognised for our expertise and professionalism. We are members of the Spinal Cord Injury Interest Group of WA. All of our occupational therapists are registered with APHRA and have membership with National and State Associations. Our occupational therapists keep up to date with the latest research and technological advancements. If you are thinking of going on holidays, either in Australia or overseas, we can help to make this happen. We have a sound knowledge of a wide range of specialist portable and travel equipment and have strong working links with a reputable travel agency who are experienced in booking holidays for people with disabilities. We have experience in researching equipment hire throughout the World and making our client’s holiday dreams become a reality.